Valentine's Day is just a week away! 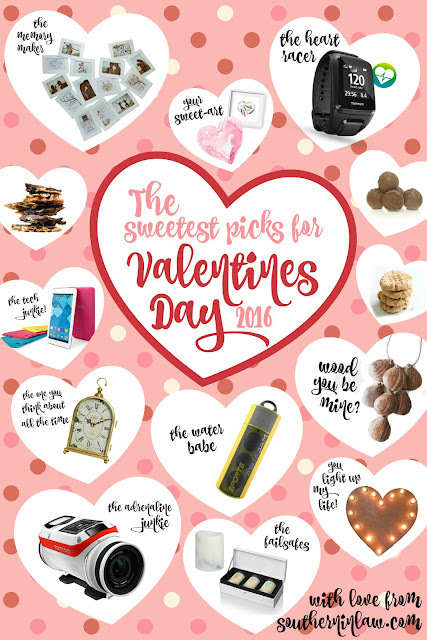 We've rounded up our sweetest picks for your sweetheart in a short but sweet Valentine's Day Gift Guide just for you! The TomTom Bandit Action Cam (this is how we filmed our New Zealand Videos - as seen here). Candles! You can never have enough good quality candles (even Jesse now shares my obsession). Our picks are this Ecoya Set (the sweetpea & jasmine is AMAZING) or if you want to go flameless, how about Carrara Marble Look Wax Flameless Candle. A Heart Shaped Marquee Light - perfect for giving your bedroom a romantic glow and chic look! But tell me, will you be celebrating Valentines Day? What's one gift that you'd love to be treated to right now?